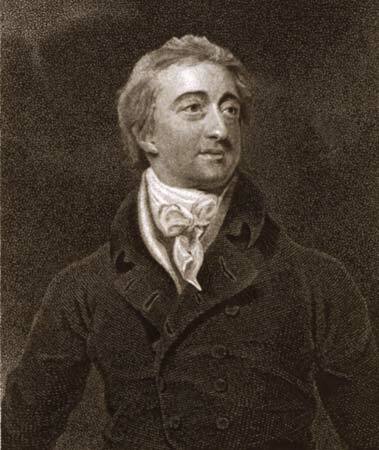 Lord Bentinck became the governor general of India after Lord Amherst. He took office in the year 1828. Bentinck was the first governor general who took significant steps to weed out the social evils that plagued the country at that time like sati pratha and infanticide. Lord Bentinck was a compassionate leader and administrator. He reorganised the law and order of the country and established several new laws and reforms. He controlled the activities of the thugs, distributed the Subordinate Services among the Indians, established freedom of press and also made several reforms in order to improve the prevailing educational system. Before Lord Bentinck became the Governor General of India, none of his predecessors paid any attention to the prevailing social evils in the Indian society. Lord Bentinck tried to change several cruel rituals of the Hindu society which included sati pratha and killing of infants. In the 19th century, the ritual of sati pratha was dominantly practised in Bengal. According to this ritual, a devoted wife had to burn herself with the dead body of her husband. It was considered to be an act which symbolised an uninterrupted and never ending union of the couple. The reason behind the popularity of this ritual was a false degree of devotion by a wife to her husband. Apart from Lord Bentinck, several princes and foreign mercenaries had also taken several steps to remove such rituals from the prevailing society. But these measures were not applicable by law and therefore failed miserably. Before Bentinck’s time, the East India Company had stuck to its previous policy according to which it had to stay away from the social and religious ways of the Indian people. But Lord Bentinck looked down at the cult of sati pratha and declared this ritual as illegal. Following his predetermined aim to reform the Indian society, he sought guidance and assistance from elite Indians like Raja Ram Mohan Roy who himself was trying to condemn the practice of Sati by publishing and distributing pamphlets among the general people. Raja Ram Mohan Roy agreed to assist Lord Benitink in his attempts and provided him with all the help he needed. Before Lord Bentinck initiated the process for the introduction of anti-Sati laws, he collected data about all the prominent cases which had emerged at that time and took the opinions of army officers, the judges of the nizamat Adalat and the superintendent of the police which represented different provinces in Bengal. After a proper discussion with all of these people, he finally declared the practice of Sati illegal by the regulation number XVII of December 1829. In this regulation he declared that the practice of Sati in any form was illegal and the practitioners would be liable to be incriminated by the courts. Initially this regulation was only applied in the Bengal presidency but later on in 1830, this regulation was also applied in different forms to Madras and Bombay Presidencies. Although there was no public disorder or riots of any sort, some orthodox Bengali people made an unsuccessful appeal to the privy Council which protested the interference of the East India company in the religious rituals. But ultimately, sati pratha was completely eradicated from the society due to the significant steps taken by William Cavendish Bentinck. In the 19th Century Bengal, infanticide was also one of the bigger problems of the society. Killing of girl babies was pretty common in those days and it was mostly popular among the Rajput. A girl child was considered to be evil and the mother who bore a girl child was cursed for her mistake. This practice was quite common in Gujarat and Banaras where the tribes like Jharija Rajput, Jats and Mewati. It's not like that these practices were legal at that time but the laws and measures which were applicable had proven inadequate and unsuccessful. Lord Bentinck recognised this practice as inhumane and immoral and therefore took strict steps in order to suppress it. He reorganised Bengal regulation XXI of 1795 and regulation III of 1804. He put a ban on sacrificing of children at special occasions which was being practised in the Saugar islands in Bengal at that time. Lord Bentinck was a true social worker even though he was a British Governor General. He took significant and effective steps to reduce the growing number of thugs day by day. These thugs belonged to a section of the society which descended from Assassin's and robbers who preyed on travellers. When the Mughal Empire fell, the administration of Bengal was left in ruins which directly led to an increase in the number of thieves and thugs. Although there were some officials who were given the duty to control the activities and movements of these criminals but instead, they started helping them in exchange of a small part of their spoils. Lord Bentinck had had enough of these petty crimes and hence decided to deal with this problem once and for all. He declared harsh punishments for those who provided these thugs protection. Now, when Bentinck passed laws banning infanticide and sati pratha, there were some people who did not support these actions but when he took measures against thievery, the public opinion changed in his favour. After this law was passed, 1500 thugs were captured and sentenced to death. This brought a quick end to organised thugs. Bentinck remained Governor General of India for 7 years in which he achieved amazing levels of social and economic progress for the Indian society. William Bentink objectively worked for legislative, financial and educational reforms while giving less priority to administrative reforms. This sort of dedicated work liberated India from different social evils. Bentinck was very farsighted and he abolished transit duties in order to encourage free trade. He also developed and enhanced steam transport by river and ocean. As far as production industry is concerned, he encouraged the production and cultivation of tea and coffee, iron and coal et cetera. After centuries of the rule of the Mughals and several years of abuse from the East India Company, Lord Bentinck was the first who actually worked for the betterment of the Indian society and improve their quality of living. For this he attracted a lot of admirers even from the Indian society.